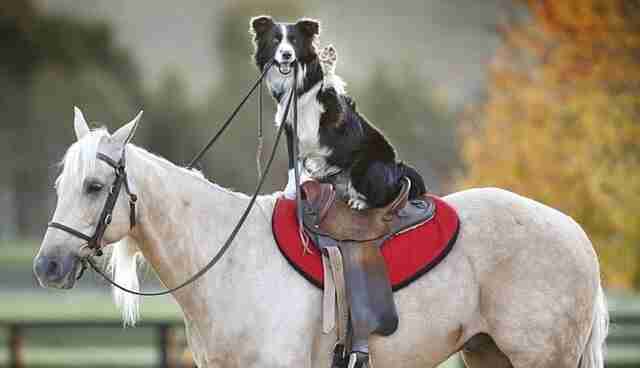 We've known for some time that Border Collies are impressively intelligent, but who knew that intelligence translated to equestrian talents? 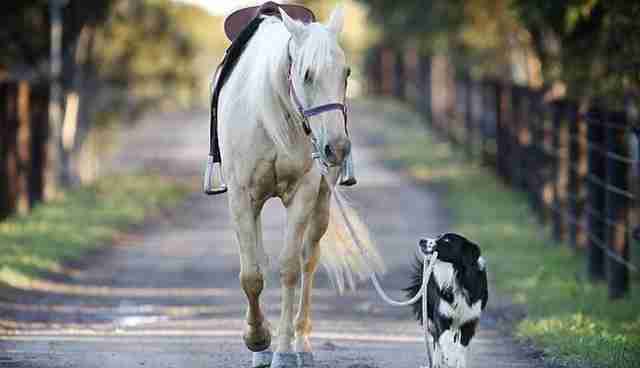 Well, maybe it doesn't -- but for one dog named Hekan (short for "he can do anything") an aptitude for following directions translates to giving directions as well. 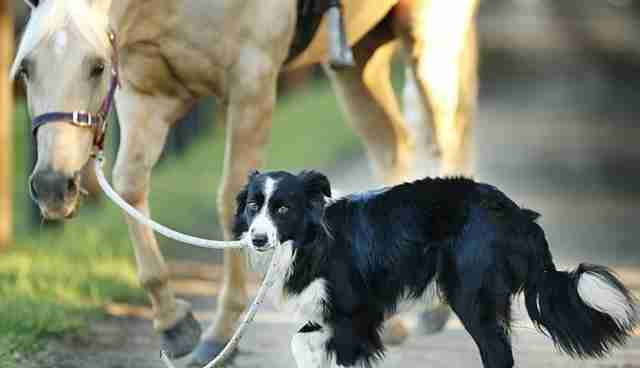 Hekan is a horse-training assistant for his owner, Steve Jefferys, an Australian equestrian who relies on his collie for most everything in his life. "He's an incredibly talented dog," Jefferys told the Melbourne Herald Sun. "He's basically my secretary. He does that many things for me." Jefferys said Hekan provides invaluable assistance at his horse-training company, Equestrian Excellence, by keeping hold of the horses, taking them for walks and wrangling them when necessary. But there's one more special thing Hekan does: rides the horses himself.